If the world needs a new field of science, can you simply create one from scratch? That's the question of a group of researchers at the Los Alamos National Laboratory. The scientists recently chronicled the twenty-five year journey of sustainability science, a newly coined field with the goal of advancing society without destroying our planet. So how close did they come to creating a new discipline? The Los Alamos National Laboratory researchers make their case for the rise of sustainability science analytically, using information on the geographic spread of data sharing and proliferation of journal articles. Their article, Evolution and structure of sustainability science, can be read for free via the Proceedings of the National Academy of Sciences. Top image: Global connections between sustainability scientists, with the red peaks designating major authors and the green rays denoting their collaborators. Sustainability science probes interactions between global, social, and human systems, the complex mechanisms that lead to degradation of these systems, and concomitant risks to human well-being. […]These include endeavors to simultaneously understand phenomena and solve problems, uncertainty and application of the precautionary principle, the co-evolution of knowledge and recognition of problems, and trade-offs between global and local problem solving. Sustainability science can cover everything from the synthesis of biobutanol to peak copper theory, to implementing a vegetable oil economy. Not simply an offshoot of environmental science, a field that oft seeks to use scientific methods to alleviate current problems, sustainability science pulls from social and experimental fields to address the problems of the future by playing a role in changing public policy across the globe. Like the back story of any good science fiction universe, an emerging science needs an origin story and a set of papers defining its goals. 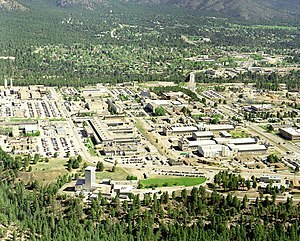 The Los Alamos researchers note the 1987 United Nations document, Our Common Future, as the first salvo of the field. This work outlined concepts for economic and social advancement of humanity without depleting nonrenewable resources or causing irreversible damage to the planet. Starting with this initial document, the authors surveyed over 20,000 academic papers from 174 countries, showing a global spread of the field within the past two decades. In late 2010, researchers at Harvard University compiled a series of basic papers and tenets to substantiate the foundation of the field. We don't know if sustainability science will solve the essential problems it seeks to address, but there is a legitimate scientific practice in place now. While sustainability science is unlikely to show up as a core curriculum class this decade, ads for professorships along with new programs are popping up across the world. The hopes of sustainability science are wonderful goals, aiming to make our planet a better place to live, and the field is certainly off to a great start in short time period.